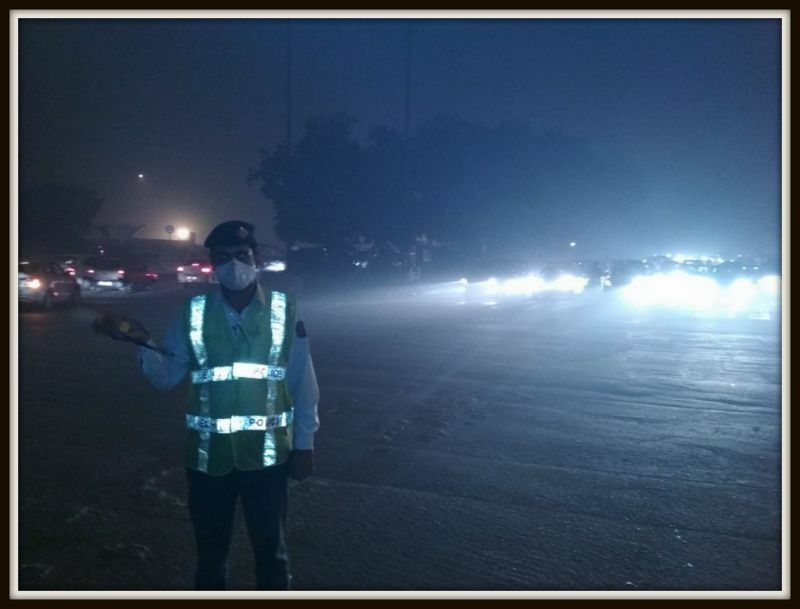 “Personnel of @DelhiPolice @dtptraffic brave the smog to ensure people reach home safe उनका बहुत धन्यवाद @CPDelhi #DelhiSmog #DelhiPollution”. The levels of airborne pollutants are so high that the situation is likened to smoking 50 cigarettes a day. Thick smog is believed to have been caused mainly by stubble burning by famers in neighbouring Haryana and Punjab, with no hope of respite for at least the next couple of days, as the Indian meteorological department predicts calm wind with no rain situation to continue in the next couple of days. 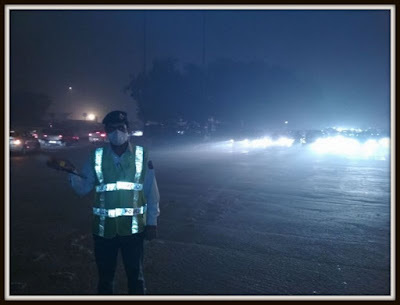 Delhi chief minister Arvind Kejriwal in a Tweet on Tuesday said, all have to find a solution together, adding how “every year, during this time of the year, Del becomes a gas chamber for almost a month”.